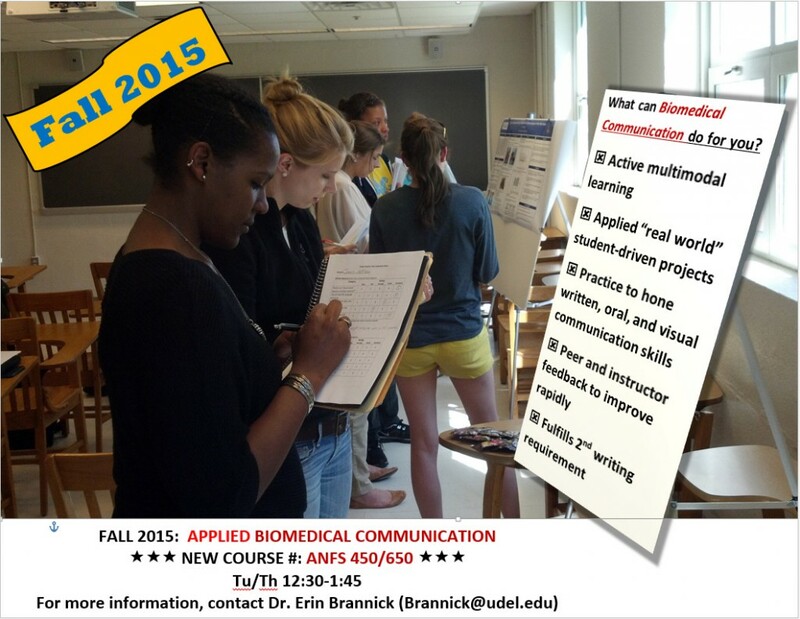 Biomedical Communication, offered in Fall 2015, will cover methodology, technique, and ethical issues fundamental to written, oral, and visual communications in the biologic and medical sciences. Topics include: scientific method/reasoning, hypothesis development, adaptation for audience, communication format and voice, types of publications, source citation, and peer review. The Office of Academic Enrichment provides a number of resources for you as a student. Individual Tutoring. Students now can go online to check the TutorFind directory of available tutors for one-on-one work. Study Skills course (UNIV113). This one-credit pass/fail course includes comprehensive coverage of strategies for successful studying, which are then put to use in a concurrent “target class” of the student’s choice. While the course is aimed at freshmen and sophomores, exceptions can be made for other students when needed. Other one-credit pass/fail SkilMod courses: Critical Thinking (UNIV114), Problem-Solving (UNIV115). The OAE Newsletter provides a quick overview of our offerings. For more details on OAE programs, visit our website. Aquaculture: Operate a recirculating freshwater aquaculture facility. Monitor filtration systems and water quality, assist in diagnosis and control of disease, and raise fish to marketable size for Walt Disney World® restaurants. Biotechnology: Maintain a tissue culture production facility. Prepare media and culture a wide variety of plants. Then, collect, package and deliver the tissue-cultured plants to Epcot® merchandise locations. Entomology: Become an integral part of The Land’s Integrated Pest Management program. Rear and maintain insect colonies, release beneficial insects into greenhouse crops, and maintain entomology-related shows. Plant Science: Maintain a high-quality show of hydroponically-grown food crops from around the globe. Seed, transplant, irrigate and prune plants; harvest produce for Epcot® restaurants; rake, sweep, and provide general cleanup of greenhouses. Interested students should email a cover letter, resume, and school transcript to WDW.EPCOT.Science.Internship@disney.com. Selected students will be interviewed via phone to further discuss the internship. Please refer interested students to http://www.disneyinterns.com/science. At the bottom of the page, they can click “Search Jobs” then do a keyword search for “Agricultural Sciences”, then “Apply Now” to view internship postings about the Plant Science, Entomology, Biotechnology, and Aquaculture internship positions along with many other science related internship openings. If students have any questions with accessing the site, please have them email us directly at WDW.EPCOT.Science.Internship@disney.com.